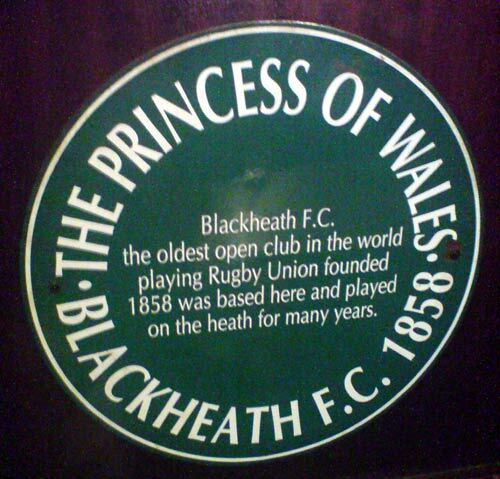 Blackheath Closed – for golfing? Now, the Bugle knows nothing about golf (apparently this doesn’t count), and it may or may not be a terrible way to ruin a good walk, however on Sunday 6th July, the heath will be closed to allow a re-enactment of the 5-hole game of golf first played on Blackheath in the 1600s. There’s a little more info here. Although the site says that the council have agreed to “close the heath”, it also says that “the public are invited to enjoy this spectacular event on the heath”, and that Shepherd Neame will be setting up a refreshment tent. Photo from the Lewisham Heritage’s Public Gallery. 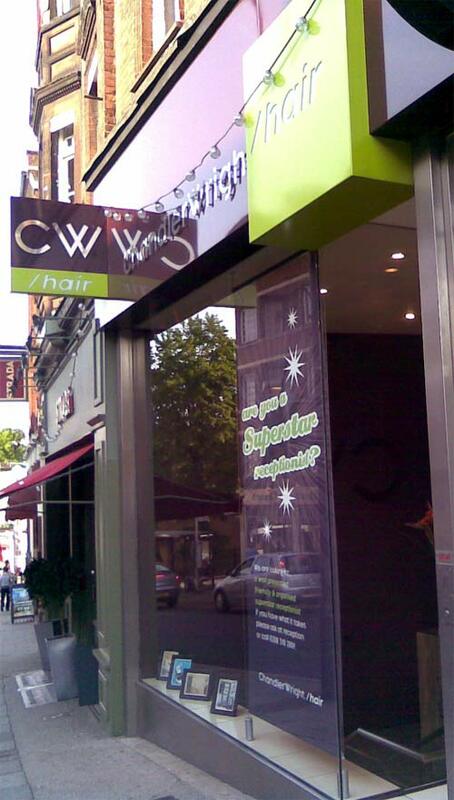 Chandler Wright Hair in Blackheath is good. It’s very good. They cut hair well. They offer you drinks and newspapers. 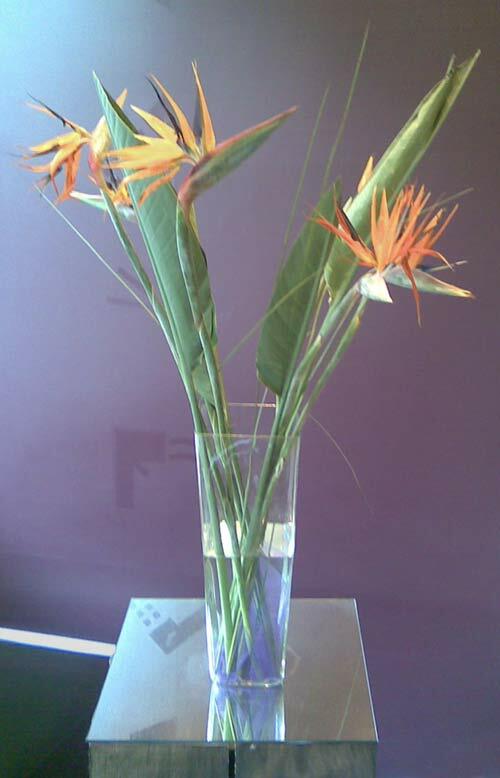 They have a huge vase containing Bird of Paradise flowers tastefully displayed in the front window. But they charge at least £40 for a man’s hair cut. I realise that this makes them no different to the majority of high street hairdressers around these days. Maybe the Bugle is getting old, but he remembers when a haircut was done at a barbershop with a spinning red & white pole, and cost £4. Maybe I should try the other barbers in Blackheath? 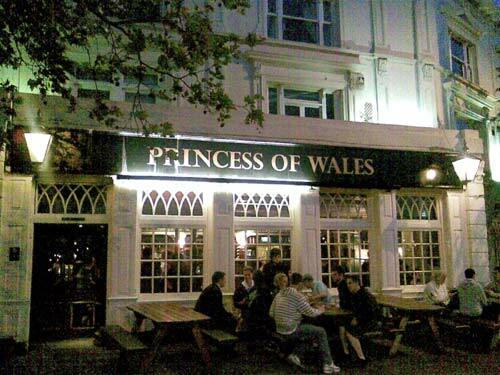 The Princess of Wales pub is definitely one of the better pubs in Blackheath, but only on weekdays. It becomes a seething hell-hole on sunny weekends, as anyone who lives nearby can testify. They have a good selection of ales, and reasonable pub food, although they do insist on using white pepper, which, as Mrs Bugle pointed out, is a peculiar thing in this country… Everyone else in the world seems to use ground black pepper for seasoning food, and most places in the UK use it too, except for pubs, which almost always offer that nasty sneezy sandy white pepper. 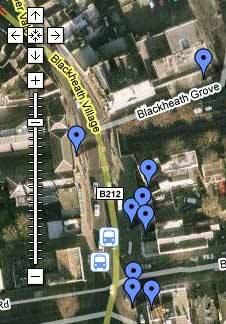 According to the Blackheath Bugle’s new Blackheath Bible, “Blackheath Village and Environs” by Neil Rhind , the pub was also the location of the first voluntary fire service in Blackheath, after a number of houses burnt down in the 1830s. Before this time, water was often used from the Blackheath Swimming Baths to fight fires. 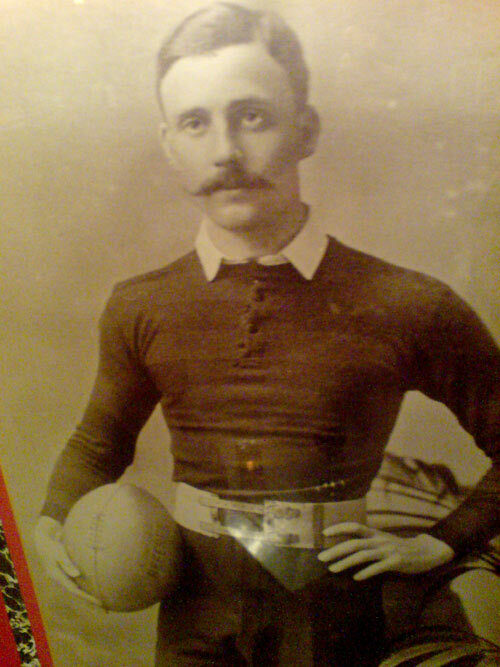 It was also the location of the first Rugby Union club, according to these plaques, and this handsome fellow. 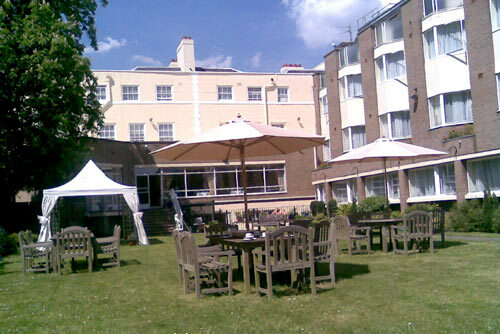 It has a nice garden at the rear, recently renovated, although they do insist on putting picture frames on the walls outside, which seems a bit strange. My god, what an ugly statue. I popped in to the Clarendon Hotel the other day, looking for the definitive Blackheath history book “Blackheath Village & Environs” by Neil Rhind. I thought I ought to get a copy if I’m writing this blog, as it would be good to have a better understanding of the history of Blackheath. As it was a sunny day, I thought I’d check out their garden at the rear of the hotel. If you haven’t been, you’re not missing much (as the Phantom pointed out). It looks a bit like a 1970s council block from the rear, which is a shame as the front looks quite impressive. 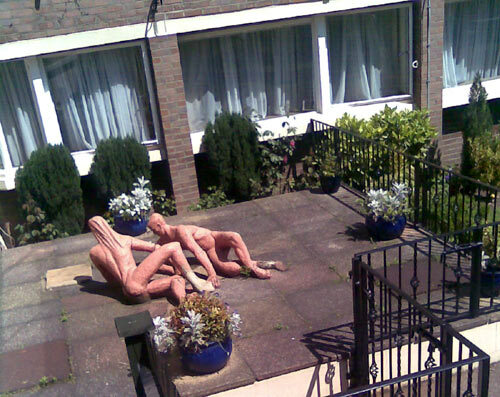 Full of tacky garden ornaments too, like the beauties shown above. I sat down for 5 minutes, and tried to do a crossword. Nobody asked me if I’d like to order anything, so I went off, book in hand. If you’d like a copy of the book, but can’t get to the hotel, they also sell it in The Bookshop on the Heath, or you could try amazon or abebooks. How is it that a tiny delicatessen in Blackheath right next to Starbucks doesn’t go out of business? I thought I’d do a comparison of the two. I’d been into the Village Deli a few times. It is nice enough, but feels more like a cafe than a delicatessen. It’s nothing like Starbucks. 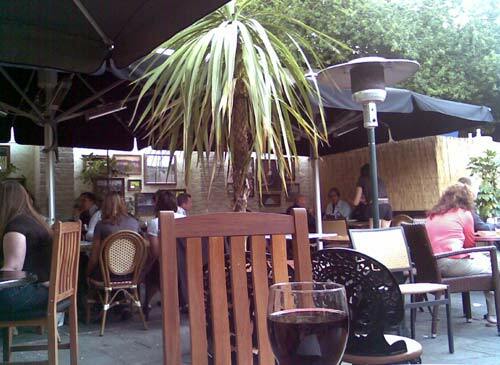 You pay afterwards, which always feels nicer, and there are plenty of tables outside to watch the world go by. It’s not perfect though -the tables were slightly sticky, and could have done with a good wipe. 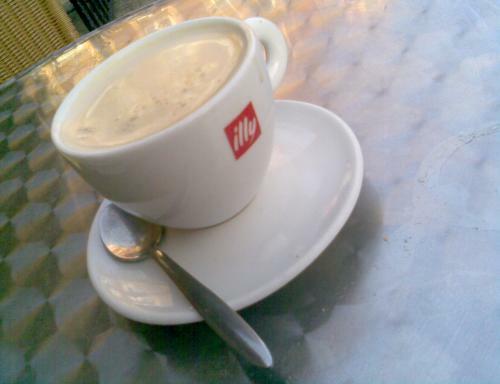 A small latte was good, and cost £2. 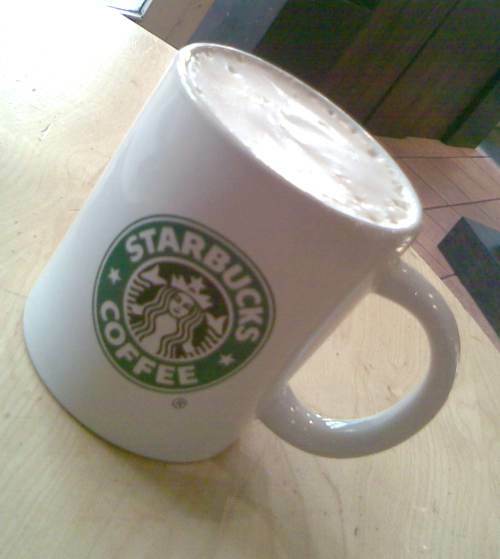 Now, Starbucks…. 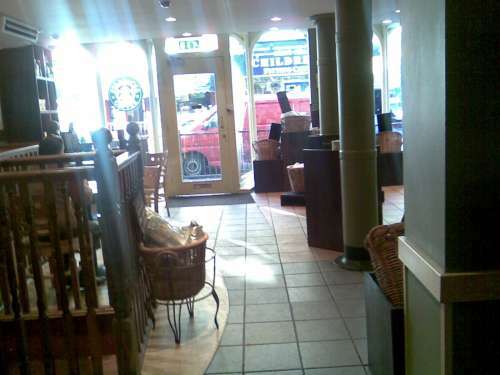 You, being nice Blackheath people, know how Starbucks is, so I’m not going to describe the usual things. What is odd is that from the outside you cannot see how few places there are to sit down. It is as though they have decided that they have no interest in serving customers inside. It really might as well be a booth with a dispensing flap at the front. Inside, it is like a morgue most of the time. 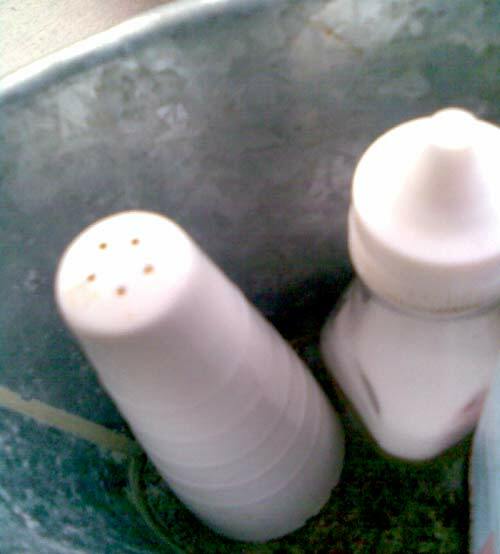 The staff (baristas – God, what a strange word to choose), were unfaultable, but really it felt so empty. The coffee was £2.05. Not sure what you get for your extra 5p- maybe a bit more cow juice. And Nora Jones on the stereo. I can’t help thinking that if it weren’t for the Village Deli’s location, it would have been annihilated by the Starbucks juggernaut. Not because Starbucks is better (it isn’t), but because the station is such a hub of activity in Blackheath, everyone seems to radiate towards it in the mornings and away at night, and the Deli is the first coffee shop that is visible from outside. 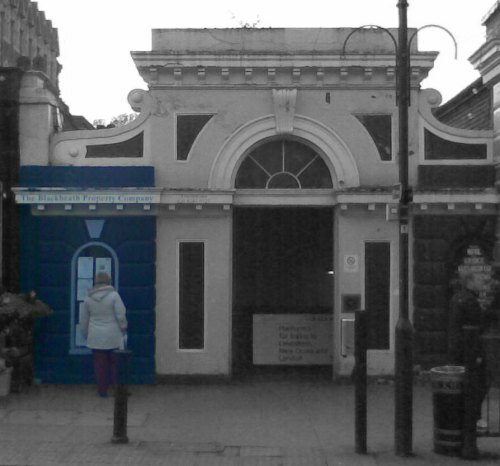 Peculiar little estate agents hut to be turned into disabled lift? A while back, when leaving the station, I noticed a planning permission form tied to the pedestrian crossing. 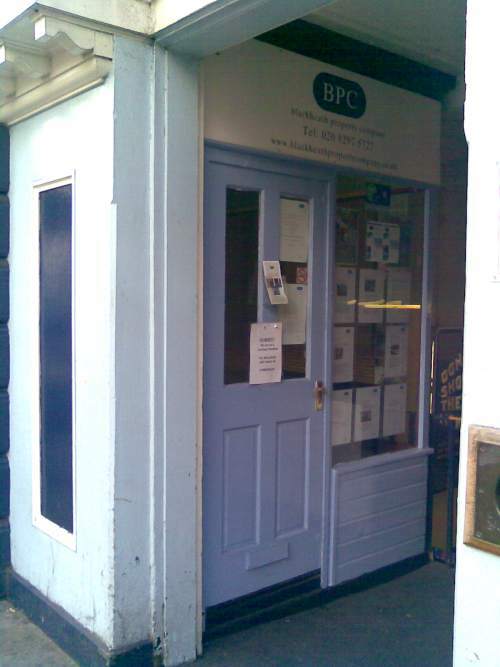 It was a planning request to turn the funny little booth that currently houses “The Blackheath Property Company” into a lift, in order to make it easier for disabled people to get down to platform 1 (towards London). For a while, it looked as though they were shutting up shop, but now they seem to be back again – does anyone know if this conversion is going ahead? 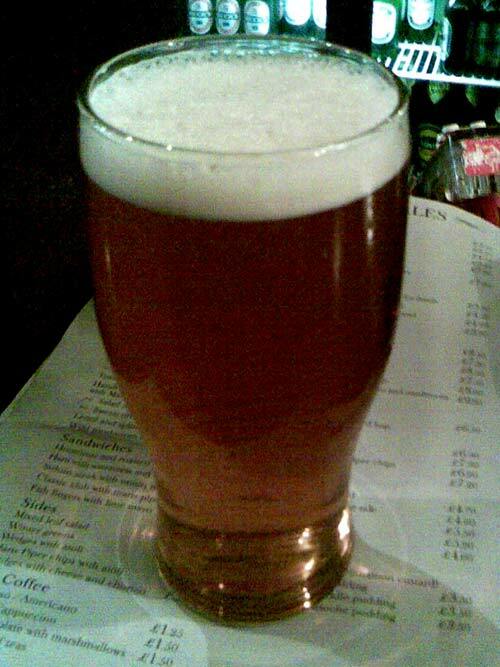 It cannot be denied that [around 1850] the Three Tuns was not the most salubrious of hostelries. It became the haunt of the riff-raff after fairs and other entertainments on the Heath, and the large crowds that congregated outside its doors would attract pick-pockets and cheats. In 1977 there was a riot in which 30 “roughs” fought a pitched battle with the police and more than 120 involved. From “Blackheath Village and Environs ” by Neil Rhind.